The Peruvian-German Chamber of Commerce and Industry has announced Peru’s fruit, legume and vegetable exports to Europe will likely rise 50% after a free trade agreement (FTA) with the European Union (EU) comes into effect in 2012. The chamber’s executive director Jörg Zehnle told Agraria.pe that Germany increased its imports by 24.6% in 2010, which represents a value of around US$894 million. “Currently Germany imports Peruvian agricultural products like coffee, dyes and fishmeal among others, and with the trade agreement that will come into force with the European Union’s 27 member nations, fruits, legumes and vegetables will be the products with the largest increase in their exports, in the order of 50%,” he was quoted as saying. 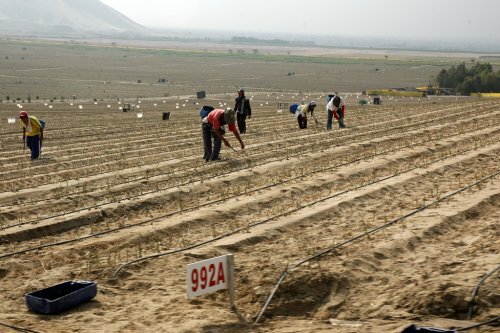 Peru’s Ministry of Agriculture (MINAG) statistics show 11% of Peru’s agricultural exports are destined for Germany, making it the country’s second-largest agricultural export market, the story reported. Peru is also on the path to an FTA agreement with the European Free Trade Association (EFTA), which is made up of the non-EU countries of Switzerland, Iceland, Liechtenstein and Norway, reported Andinda.com.pe. The story repoted the agreement with the EFTA will likely come into effect at the start of July.